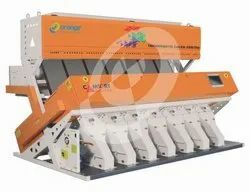 We are the reputed market leader in manufacturing of Sorting Machines like Coffee Sorting Machines (Chroma). 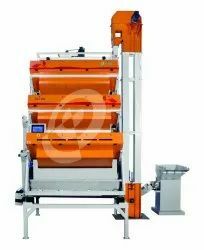 These machines are manufactured by using the cutting edge technology to meet the quality goals of the customer and fulfil the sorting needs of food processing industry world wide. This product is available at industry leading price and paved us a phenomenal growth to expand our business. We are engaged in offering advanced range of Coffee Sorting Machines suitable to sort out coffee beans of different colors. We have the expertise to manufacture advanced Coffee Bean Color Sorter Machine, which is equipped with track-type CCD color sorter and resort function. Our computer controlled Coffee Color Sorter has high resolution chromatic CCD sensor to accurately identify blue, gray, green, red, and other colors. Its double layer belt type design manages the material efficiently and thus minimize the wastage and increase output. Advanced and high resolution optics augment the performance of our Coffee Sorting Machines. Stalk removal while picking leaf and bud due to non standard some of the stalk also picked,this stalks reduces the Tea quality.the color of the stalk is differesnt from color of the leaf,by using this difference "SS2 will remove stalk without leaf wastage.